Hey everyone! 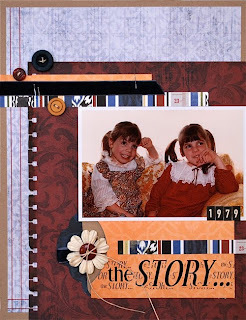 Welcome to My Scrapbook Nook's Blog Hop! There's a lot going on over at the Nook recently and what better way to share it all with you than a blog hop. 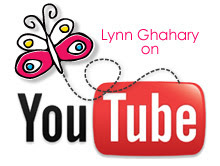 Be sure to start your hop at Leah's blog and then just follow along from there. 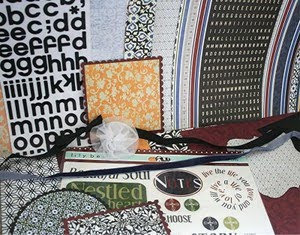 I joined the My Scrapbook Nook Design Team this past August and have enjoyed every minute of it. The kits are just amazing! There are so many goodies packed into each and every kit and lots of fun extras that can be purchased in the shop. The forum is such a wonderful place to chat about all things scrappy or otherwise and the gallery is simply awe inspiring. This truly has been one of the best design teams I have had the honor to be a part of. So as part of our blog hop I get to giveaway one of our recent kits - the November kit featuring the gorgeous Audrey Collection by Lily Bee Designs (pictured below). All you have to do to be entered in a random drawing to win this kit is leave a comment on my blog. Easy peasy, right? And if you want to increase your chances of winning you can earn extra entries by joining our message board (1 entry), signing up for our newsletter (1 entry), posting about the blog hop on your own blog and/or facebook/twitter (2 entries), and/or joining the kit club (5 entries). You need to just let me know which of these you've done when you leave me a comment on my blog. And apparently "they" do have ways of checking so be honest! Hee hee! And don't forget to visit my fellow design team member's blogs (links are over on my right sidebar) for some more Nook inspiration! I also wanted to let you know about a really great promotion going on right now - sign up for a 6 month subscription to the Nook between January 5th and January 15th and receive a credit of $20.10 to your account! How amazing is that?!? You can read all about it here. Also My Scrapbook Nook has some special "member privileges" that will be revealed in the forum soon so be sure to check in here and read all about it! The blog hop will close on Friday, January 15th at midnight PST and the winners will be announced in the forum on Monday, January 18th so remember to stop in and see if you are one of the lucky ones! And now it's time for you to hop along to the super adorable Miss Britt! Thanks for stopping by! the pages are stunning as always!! Lynn, i always love your LOs! You do such a phenomenal job! Can't wait to see more! Gorgeous layouts and such inspiration! 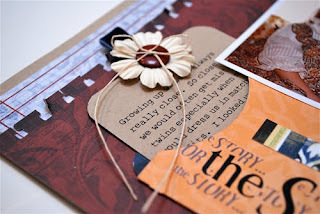 :D Great blog hop! I am signing up for the newsletter ASAP! I just adore you work and I have posted about this to appear on my Blog on Monday!! you´re layouts are beutiful I really liked the pirat one that you blog the other day. I also commented on facebook that all of my friends should hop along! You do some really great stuff. I was just looking at your stuff on the College Press Blog. I adore what you did with this kit - beautiful!! See you at the Nook! OK, Lynn, here's what I've done so far; I have joined the message board, signed up for the newsletter, and I will post about in on Facebook as soon as I leave this blog. One more chance to win the kit! I'll be back to see what you have created! The Audrey line is just beautiful! Thanks to Scrapbook Nook for the chance to win! Great pages with this lovely kit.. I have signed up for the newsletter and blogged as well..
so nice to meet you...I love layout with the Nov kit, those are beautiful papers!!! I signed up for teh newsletter last month, does that count? i signed up for the 6mo kit deal earlier this week...does that count??? I dont know how you do it! you are one busy lady! signed up newsletter and posting to my blog. Great layouts! And that was one of my favorite lines. The papers are so pretty! Lovely layouts and a great kit. 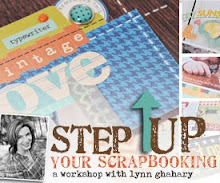 This blog hop is so much fun and so many yummy layouts to look at! This blog hoppin is so much fun. Your work is very inspiring! Thanks for the chance to win this gorgeous kit. I have also signed up for the newsletter and message board! Love that Grown lo! Love this kit! Thanks for the chance! I signed up for the newsletter and joined the message board! Amazing work Lynn! Thanks for a fun blog hop! Looks like 5 entries, crossing fingers! Oh, those are some fab layouts! I love all the little touches. Very cool! Fabulous layouts!! I am thoroughly convinced the y'alls DT ROCKS!! I am enjoyning hoppinh! I had to take a break in the middle earlier...kids and all....lol. But I am back! Pages are gorgeous! I will have to check out this website. I did not know about them! have a great weekend! I did facebook about it!! Oops didn't realize each comment was supposed to be separate for each entry!! and you've got so many comments already! hi!! lovely layouts hun!! i may pinch a few ideas!! I've joined the message board and signed up for the newsletter. wow... love those layouts.. amazing as always.. working your magic. I really like your style! Great blog! Beautiful work! Lilybee is one of my favorite companies right now. I've been a member of the forum for over a year now. I just joined the kit club! I LOVE LOVE LOVE this kit!!!! I've signed up for the kit club, posted on facebook, joined the message board and am getting the newsletter! What a great idea for using this "yummy" kit. I joined the KitClub and placed an order- can't wait for it to get here. I signed up for the creative newsletter on Saturday. I joined the message board and have already posted a couple of messages! If I knew how to link back to your blog I would do that also. Guess I have something to learn this week! This bloghop is so much fun!! I get to see so many wonderful blogs and projects!! I blogged about the bloghop on my blog and put it on facebook. I am a member of the messageboard, receive the kit and the newsletter for about a year and a half now and am hugely enjoying myself!! TFS and have a nice day! oh i so so so so want this kit after seeing your layouts. amazing as always!! Your work is so neat!!! I came from Scrap in Japan:) Wow, your layouts are beautiful!! Thanks for the inspiration! you have such beautiful work! I have joined the message board (and introduced myself). Your layouts really make me want this kit :-)Thank you for showing those lovely examples and for arranging this hop. Beautiful layouts, Lynn. Thanks for sharing in the hop! love those layouts you shared! what a beautiful kit..thanks for sharing. Love the colours in this kit, and your layouts are stunning. So cute, love that little pocket. Wow, great attention to detail on your LOs. Thanks for the opportunity! Thanks for participating in the hop!! Your layouts are great!! Love the kit. I follow your blog. This is so much fun! And am a forum member. and joined both the newsletter and MB! I commented,blogged about the hop,signed up for the newsletter and registered on the message board. Wow. I love your work! i love the yellow and the neutral colors in this kit! Love the layouts you shared. And yes I signed up for the newsletter on Scrapbook Nook. I loved that kit! did so many nice things with it! Lynn you always have such wonderful things to share! 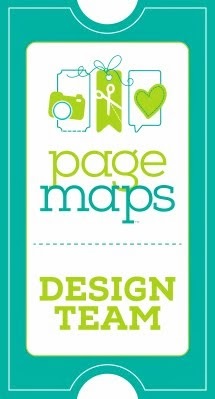 I'm really enjoying the Blog Hop and all the great work from all the designers. So far I've signed up for the newsletter, blogged about the hop, signed up for the message board and had the chance to visit some great blogs. thanks everyone. Ok...gonna hop a little bit more before lights out! Ooh! I love this kit and your stuff! I'm actually new to the site - yesterday, I signed up to be registered user on the forum, and signed up for the newsletter. I'm hoping to go and check out the kits later to sign up, but haven't have a change to do that yet... Thanks for the chance to win! I facebooked about the hop, too! I facebooked about the HOP, as well! Lovely work! And that kit is beautiful! Where do you come up with your ideas? Keep them coming I will be following your blog from now on for inspiration. I really like your pages. I just joined the kit club, can't wait for my first kit to arrive. I also signed up for the newsletter and message board. i am really enjoying the hop. and each blog gets me so much closer to signing up fo the kit...i have blogged and signed up for the newsletter. now just the kit??? I love what you did with Zva creative! Your work is delightful, I am quite inspired, thanks for making my day. Love the chance to win one of those great kits, loved it! I'm adding you on my fav blogg list as we speak! Firstly: like the design on your blog very much; it feels fresh and funky! So I'm on the hop-train and made it this far. I have thought of joining the nook a few times, when following some of the DT's blogs, but now, I'm all in at once. Subscribed to the kit club, forum and newsletter. Looking forward to this so much. Great layouts! Love your blog!